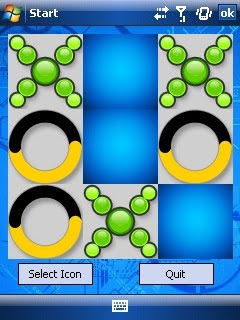 Very simple tic tac toe game. The file downloaded is a zip file that contains both the low resolution (good for AT&T; Tilts or similar) and high resolution (good for most other HTC newer phones). You can choose your own icon! Unzip the zip file on your PC, then choose the version you want and plop it on your phone and begin having fun!! Enjoy! Good dispatch and this enter helped me alot in my college assignement. Say thank you you as your information.